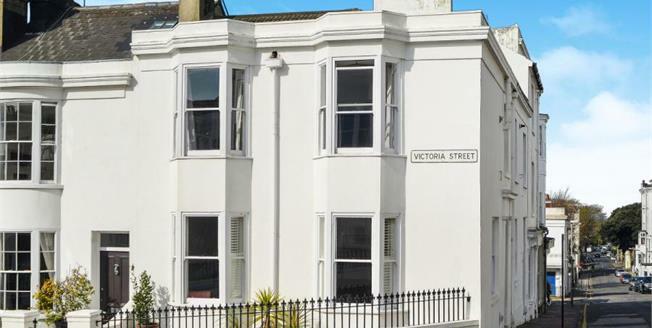 Positioned in the exclusive area of Clifton Hill and within walking distance of the station, the Lanes and the seafront, this house on Victoria Road will make an ideal home or fantastic weekend retreat. This end-of-terrace property is arranged over three floors and boasts an en-suite bedroom/office on the lower ground floor, stylish open plan kitchen and living room on the ground floor and two further bedrooms with family bathroom upstairs. Clifton Hill and Montpelier is arguably one of Brighton's most desirable areas being close to transport links such as Brighton station and Western Road, as well as shopping at Churchill Square, Western Road and the Lanes. Victoria Road is just a stone's throw from the hustle and bustle of Brighton and the seafront, yet provides a quiet and secluded environment, ideal for families and weekenders alike.